The organizers of Auckland's Big Day Out have responded to criticism for including an anti-gay reggae singer in its 2010 line-up. Jamaica's Beenie Man is set to perform at Mt Smart Stadium on January 15. He has written and sung about cutting the throats of all gay men, killing gay DJs, and hanging lesbians. Lyrics include lines like, "I'm dreaming of a new Jamaica, come to execute all the gays" in his songs. In a statement released on Thursday, Big Day Out organisers say they booked Beenie Man "in the knowledge that the artist has a controversial past". 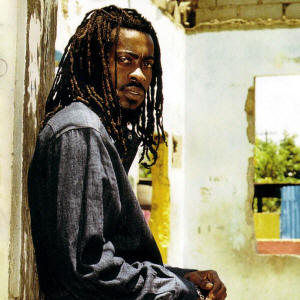 The promoters say that as far as they know, Beenie Man has not performed the offending songs since signing the Reggae Compassionate Act (RCA) in 2007. They have contacted him to confirm that he stands by the Act. "The Big Day Out's core values include those of tolerance and understanding," says BDO promoter Campbell Smith. "We are responding to concerns that Beenie Man's presence at the event may compromise those values and are directly investigating fears that he will perform material conflicting with our philosophy and his own undertakings pursuant to the RCA. "It may take us up to a week to resolve this matter." In 2004 Beenie Man was banned from playing an MTV UK gig after protests over his appearance and in 2006 protests also led to the cancellation of a concert he was to perform in New York. GayNZ.com spokesman Jay Bennie said earlier in the week that they want the Big Day Out organisers in Auckland to rescinder their invitation to the musician. Bennie says if they decide not to do that, then the Immigration Department has to decide whether the singer is fit and proper enough to be allowed into New Zealand. \nBennie says if they decide not to do that, then the Immigration Department has to decide whether the singer is fit and proper enough to be allowed into New Zealand.